Taraxacum officinale, the common dandelion (often simply called Dandelion), is a flowering herbaceous perennial plant of the family Compositae. It can be found in temperate regions, in lawns, on roadsides, and in some areas with moist soils. 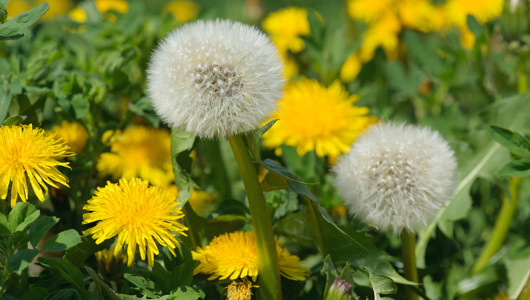 All parts of dandelion (flowers, leaves, and roots) are used for medicinal purposes, as all of them contain a bitter, milky juice (latex). The flowers are not usually eaten, but they can be used to make wine, for example. Dandelion leaves are rich in minerals and vitamins, especially calcium and vitamins A, C, K, and B2. They can also be used as a diuretic, as they promote the loss of water from the body through urination. This is the reason why dandelion greens help to lower blood pressure and relieve premenstrual fluid retention. As for the roots, they are the part which is used the most because the juice they contain has more medicinal properties. 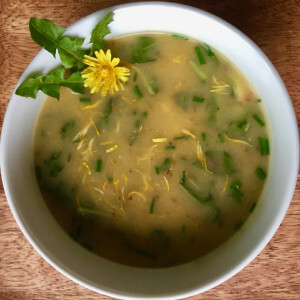 Dandelion roots contain inulin and levulin, which may help balance your blood sugar, as well as a bitter substance (Taraxacum) that stimulates digestion. 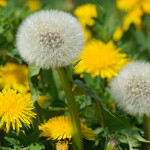 In foods, dandelion can be consumed in several forms: as salad greens, sauteed greens, in soups, wine, and teas. Also, the Root (roasted) can be used as a coffee substitute. This natural ingredient is a general stimulant of the system, but it especially stimulates the urinary organs, so this herb is mainly used for the treatment of kidney and liver disorders. According to some studies, a balanced diet should contain foods that are both sweet and salty, but also sour and bitter. Western people tend to consume few bitter products, hence the higher incidence of digestive diseases in the West, compared with Asian cultures. 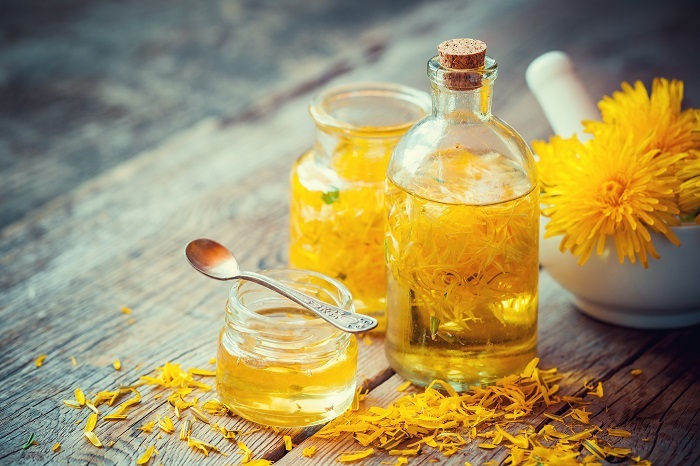 Besides the conditions related to the urinary organs, dandelion is mainly used for the following symptoms: bruises, eczema, gas, joint pain, loss of appetite, muscle aches and upset stomach. However, in certain situations, stimulating digestive secretions is not advisable, so Dandelion should not be used. Also avoid its use if you have diarrhea, hyperacidity, acute irritable bowel syndrome, or ulcerative colitis. Besides, since this herb may interact with some drugs (water pills, medications changed by the liver, and some antibiotics, among others), you should be careful and see your doctor before consuming dandelion if you are taking any drug. Furthermore, dandelion has no negative effects (except for the mentioned cases of interaction with some drugs or those situations in which stimulating digestive secretions is not advisable), so it is an easy way to prevent and control a lot of conditions and, at the same time, it is a really inexpensive and easy to get medicinal herb. Apply the white sticky fluid from the dandelion (any of its parts) directly to your wart daily (preferably several times a day) and it will slowly disappear. Slice the dandelion and let it stew in boiling water with some leaves of sorrel and one egg yolk. Take this broth daily for some months. Infuse the dandelion in the boiling water for 10 minutes. Once it only remains half the water, let it cool down and pour it into a bottle (or similar container). Sweeten the tea with honey. Drink several glasses a day. Gently boil all the ingredients in the water until it is half of it left. Dissolve the sugar in the hot liquid. Bring to a boil again. Remove all impurities that come to the surface. Give frequently in teaspoon doses.